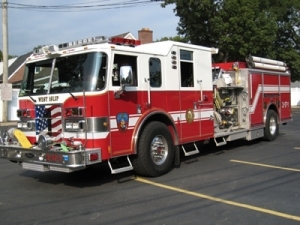 It is a 2006 Pierce Lance 1500 GPM top-mount pumper with a fully enclosed 9 man crew cab. 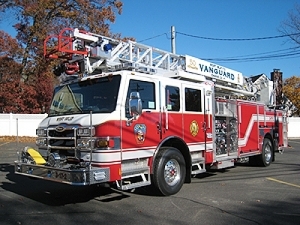 This engine is the primary response vehicle for alarms in West Islip for Vanguard Engine Company. 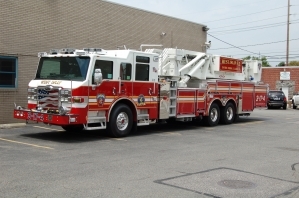 3-17-2 is a 2010 Pierce 75' Quint with a 1750 GPM side mount pump. It has a fully enclosed 8 man crew cab. 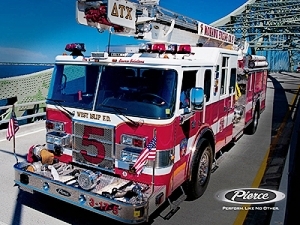 It is our primary response vehicle for FAST Team and M/A alarms for Vanguard Engine Company. 3-17-7 is a 2004 Pierce Lance 1500 GPM side-mount pumper.This custom engine serves as Mohawks primary response vehicle for all alarms in our community.